The first day of September is the calendar’s way of telling us that summer is nearly over and fall is just around the corner. 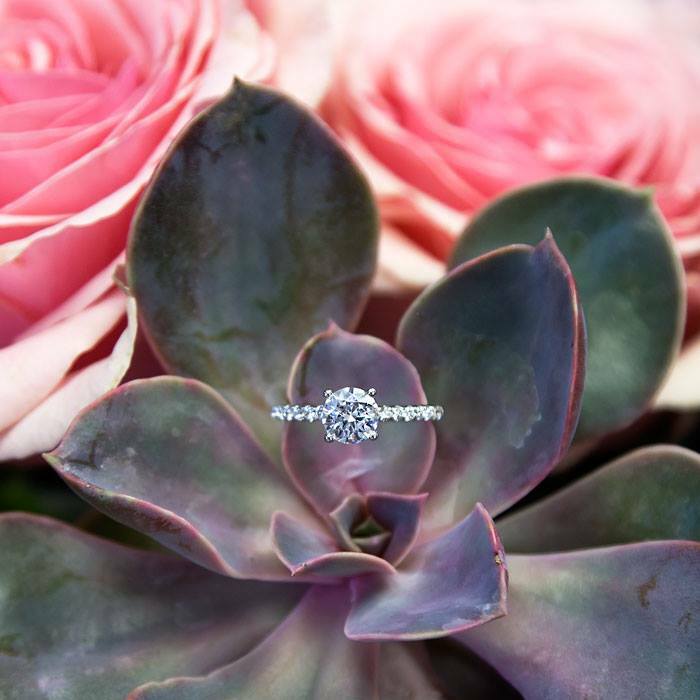 This rose gold ring is reminiscent of leaves that are about to change color, don’t you think? Our Coast Diamond Engagement Ring of the Week features a petite cushion-shaped diamond halo that crowns the center stone in this elegant design. 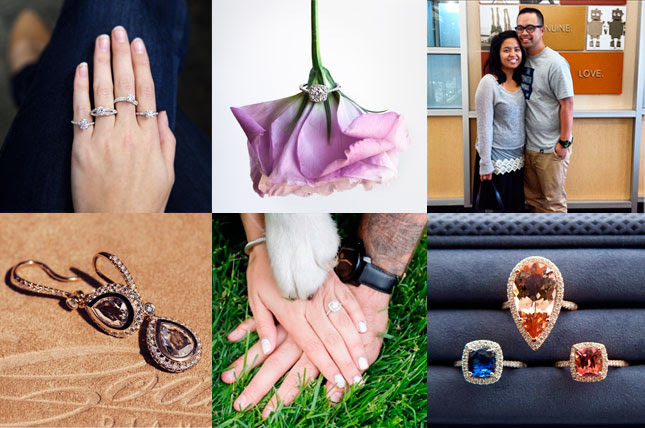 A rose gold shank encrusted in diamonds adds extra sparkle. Find this one carat diamond engagement ring at a Coast Diamond authorized dealer near you, or search for other stunning halo rings in rose gold, yellow gold, white gold and platinum at www.coastdiamond.com. 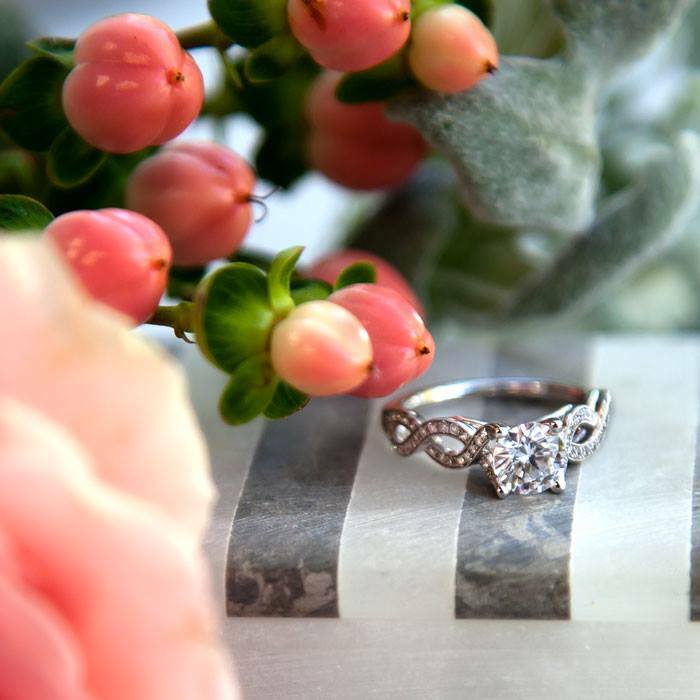 Do you love the look of a spectacular and romantic halo ring, but also desire something different from a traditional round diamond in the center? Consider a rare demantoid (meaning “diamond like”) green garnet, set in a platinum halo of brilliant diamonds. According to the International Colored Gemstone Association, this “star of the green garnets” has incredible fire and brilliance, and is even reported to glow in the shade. The demantoid green garnet is one of the rarest gems in the world, and even more precious is this demantoid with the famous “horsetail” indicative of stones from Russia, set in a Coast Diamond platinum halo engagement ring setting. The horsetail inclusion in this green demantoid green garnet that weighs over a carat is highly sought-after by collectors. Coast Diamond is thrilled to offer this one-of-a-kind green garnet, rarer than a diamond and most other gemstones of comparable size, in this week’s featured engagement ring. Due to the rarity of this ring, it is available only by special order and can only be seen at a Coast Diamond authorized dealer. Ask your local jeweler for Coast Diamond ring LSK10089-DG in platinum. This ring is a one-of-a-kind and subject to prior sale. 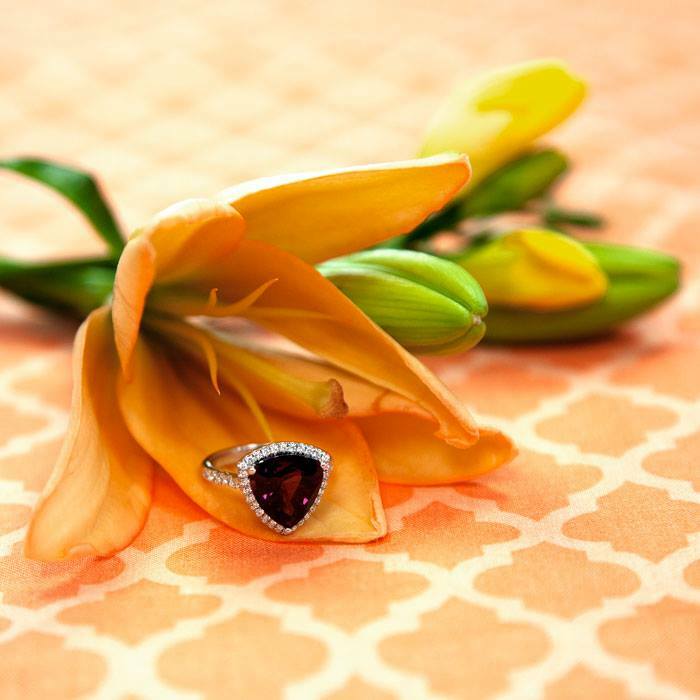 Other rare gemstone rings are available in the Coast Diamond Signature Color Collection. For fans of Kate Middleton (and who isn’t fond of the lovely future Queen of England, married to the handsome Prince William) and her heirloom oval blue sapphire halo engagement ring (previously worn by Princess Diana), this rare 4.11 carat cushion sapphire is the ideal “something blue” for any bride-to-be. 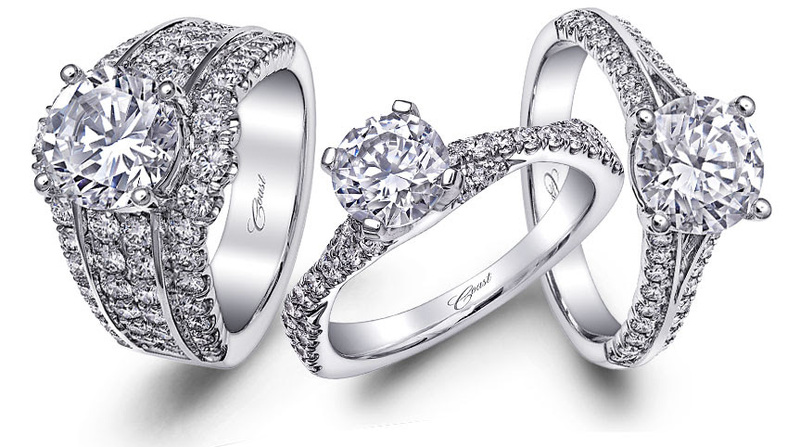 Set in a halo of diamonds and platinum, and with a band accented with brilliant diamonds (for 1.26 total diamond carat weight) this style from the Coast Diamond Signature Color Collection would be an amazing engagement ring or a memorable anniversary gift. Find this unique and rare sapphire and platinum ring and other one-of-a-kind styles from our Coast Diamond Signature Color Collection on our website or at a Coast Diamond authorized dealer near you.